Great news for fans of nostalgia-forward TV reboots and science: Kate McKinnon will be the voice of Ms. Frizzle for Netflix’s planned reboot of the beloved children’s animated series The Magic School Bus. Fun fact: The voice of Ms. Frizzle in the animated original is none other than Lily Tomlin. Another fun fact: The reboot, titled The Magic School Bus Rides Again, is not technically a “reboot,” though I’ve heard that word so many times when it comes to television that I have completely forgot what it means. Variety reports that it’s actually a “reimagining,” which means it’ll be CG instead of the wavy mid-90s animation of the original. 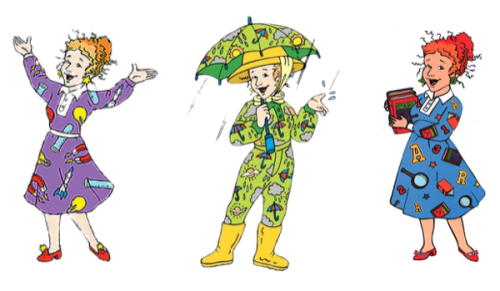 For the uninitiated, Ms. Frizzle is a kooky science teacher with a penchant for dresses that would probably be sold on Modcloth who drives a school bus that takes her class on various adventures to learn about science. They go inside a rotting log or up into a cloud or inside the body of one of their classmates to explore germs. Also, she has a lizard named Liz who I thought was a dragon. It’s a great show! Good for the kids and good for the adults who don’t know about photosynthesis or recycling works . Rebooting a beloved classic like this sounds good, but the CG gives me pause. Put on your seatbelt and hope for the best.